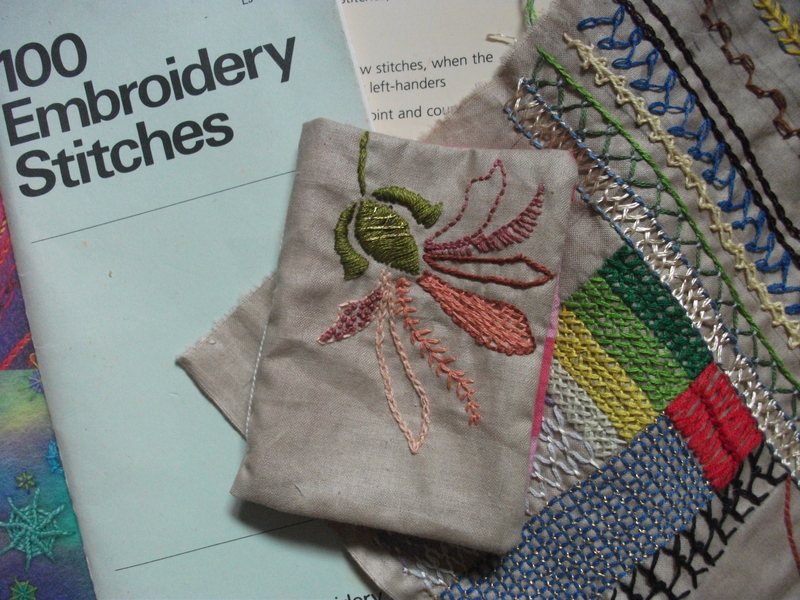 If you are like me you will love experimenting with embroidery and what better way than to create a sampler? The word ‘sampler’ comes from the Latin ‘exemplar’ and in relation to needlework simply means an example of stitches. 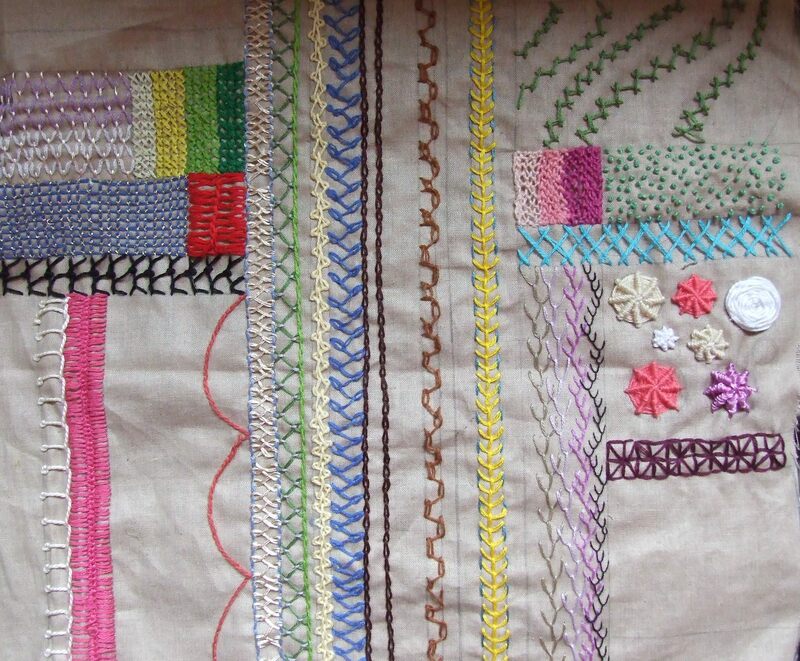 Samplers have been used for centuries as a type of pattern book that you create to learn new stitches and can then refer back to them for future work like an embroidered notebook. In the 16th and 17th centuries rare and expensive pattern books were being published and so women collected and recorded these stitches. The patterns were sewn randomly onto the fabric and the woman would add to them throughout her lifetime so we are left with fascinating works of art. 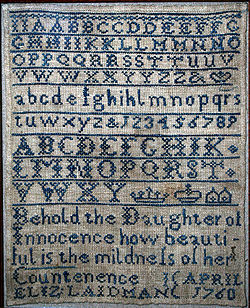 By the 19th century, samplers were an important part of a girls education and were seen as examples of their proficiency as a needlewoman but their style became much more uniform. 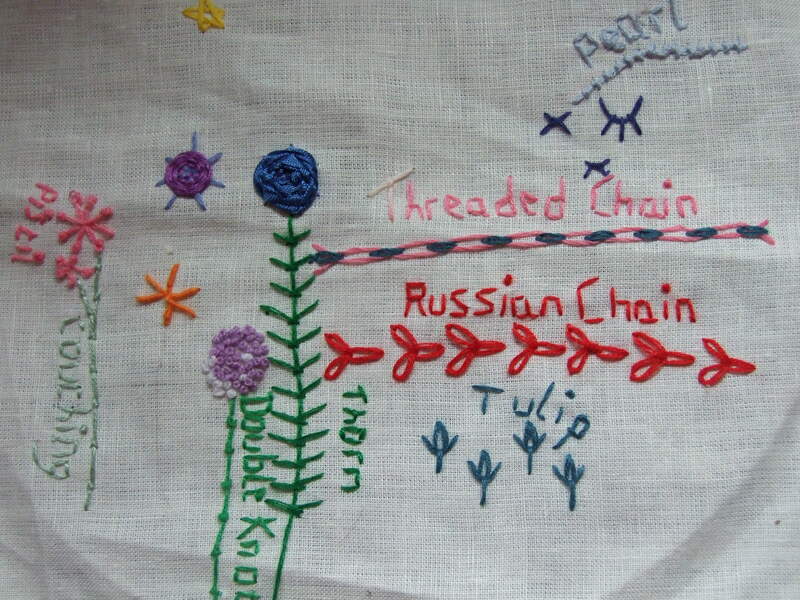 The main stitches used were cross and tent stitch. The designs were typically made up of the alphabet, the makers name, age and date. I first started to sew under the guidance of my gran but learned proper embroidery at school when I was 8. Once a week on a Tuesday we would have an hour of needlework. We started our own small samplers with basic cross stitch and each week learned a new stitch to add to it. I remember being so proud of my work and I still have it 20 years later! I still love to learn new stitches and so still create small samplers so that I can practice and then go back and see what works and what doesn’t. I experiment with colour and thread types. Sometimes it can surprise you and give amazing results and sometimes its a reference you can look at for what not to do. Recently a friend Lynn Holland http://www.doodlybird.co.uk loaned me a wonderful book, The Left-Handed Embroiderer’s Companion by Yvette Stanton. Being left handed, I have always had to reverse patterns and stitches and suddenly I could see all the little mistakes I had been making, it is a brilliant book for us lefties. I experiment with embroidery and sometimes my work can be random. Sometimes I like to make up a square with sections for different stitches and slowly build it up. Different stitches also make great finished patterns such as on one of my needle cases. 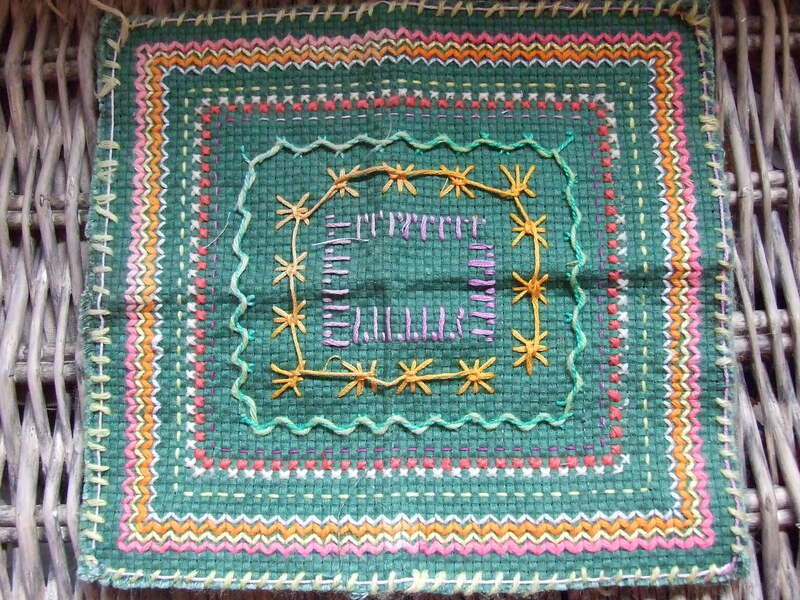 Have a go and play around with different stitches, you never know what you might create.